Tiger Woods attended college at Stanford University from 1994-1996. He was at Stanford for two NCAA golf seasons (1994-95 and 1995-96) before leaving college after his sophomore year to turn professional. 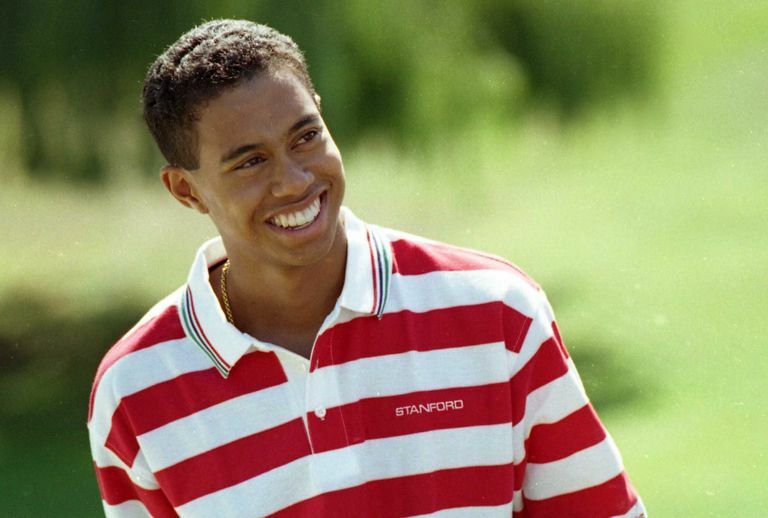 In addition to playing golf at Stanford, Tiger Woods majored in economics. Teammates on the Stanford golf team during Woods' time there included Notah Begay III, Casey Martin and Joel Kribel. (And his teammates nicknamed him "Urkel.") All three of those golfers went on to play at the PGA Tour level. Begay posted four PGA Tour wins and remains one of Woods' closest friends today. "I really enjoyed being stimulated by the students and professors. Some were geniuses and others were Olympic athletes. It's amazing how well-rounded they are. That's what's so cool about it. You must soak up that experience. It was one of the best times in my life." Woods won 11 college golf tournaments during his two seasons at Stanford University. Three of those victories happened during his freshman season (including winning his very first collegiate tournament) and eight of the victories were in his sophomore season. Woods maintains a relationship with Stanford University, sometimes attending football games. He also has hosted Stanford golf teams at his home. Woods played in 13 tournaments in each of his two seasons at Stanford. His freshman scoring average was 71.37, with a low round of 66. His sophomore scoring average 70.61 with a low round of 61. He was the No. 2-ranked NCAA golfer at the end of his freshman season, and No. 1 at the end of his sophomore season. Over 26 college golf tournaments, covering 76 rounds, Woods' scoring average was 70.96. He shot par or better in 52 of those 76 rounds. Tiger's 11 career wins (in just two seasons) is the school record for the men's golf program, a record Woods shares with Patrick Rodgers and Maverick McNealy. Woods' eight wins in the 1995-96 season is also a school record. Woods also shares the Stanford record for low 18-hole score with a 61 at the 1996 Pac-12 Championships (it was later matched by McNealy). At the time Woods departed Stanford, he held the school records for best single-season scoring average (70.61 in 1995-96) and best career scoring average (71.0), but both those marks have since been bettered. Woods was a consensus first-team All-America selection following both his freshman and sophomore seasons, 1995 and 1996 respectively, at Stanford. He also swept the player of the year awards in 1996, the year he won eight times including the NCAA Championship. 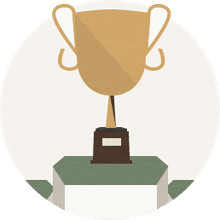 That means winning the Ben Hogan Award and the Jack Nicklaus National Player of the Year Award, two trophies handed out by different groups selecting a Player of the Year winner.